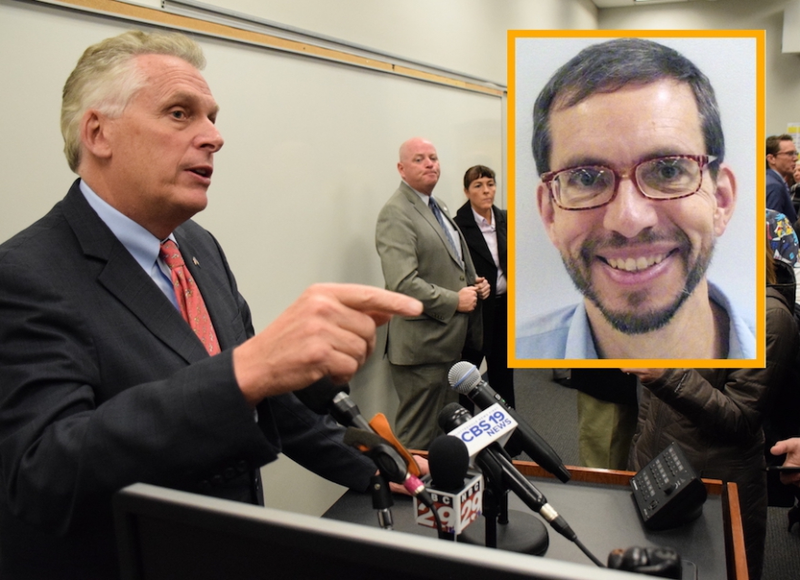 Despite recent DNA evidence casting doubt on his guilt, Jens Soering, the German honor student who came to the University of Virginia and was convicted of killing his girlfriend's parents, will not go home during the McAuliffe administration, which ends next month. Speaking to reporters on Friday, McAuliffe says his office is swamped, "I receive 15 to 20 pardon requests a week, about a thousand a year." He says his successor, fellow Democrat Ralph Northam, may get the case early next year but will need to wait for results of an investigation, "Governor Northam, he will act the same way I did: You will not take any action until you get the police report." Albemarle County Sheriff Chip Harding helped assemble DNA indicating two other men at the crime scene, not Soering, "I can't imagine the frustration that's he's feeling, sitting in there another Christmas." As for two original investigators, one says Soering is innocent; the other says he's guilty.